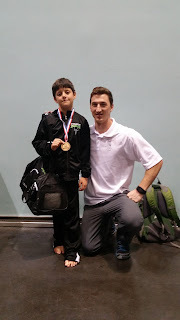 The Gymnastics Zone Boys Level 5 Junior Olympic Team led by head coach Mike Terhorst competed at USA Gymnastics Region 1 Championships on April 9th & 10th at the Santa Clara Convention Center. Petar Zivkovic – seventeenth all-around with a score of 60.700. Liam Wallace Harper – sixth on high bar and seventeenth all-around with a score of 59.200. Lukas Rieken – ninth on high bar and twentieth all-around with a score of 58.550. Noah Pack – fourth on floor, fifth on pommel, seventh on vault, seventh on high bar and eighth all-around with a score of 59.200. Pack competed as a member of the NorCal All-Star Team during the competition. 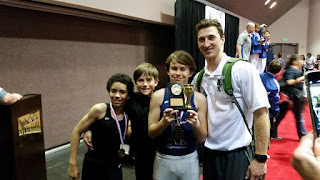 The boy’s season is now complete and they are back in the gym working on new and improved skills for next season which will begin in December.